Are there too many public information officers (PIOs)? Share your perspective by signing up to write an article for ELGL. 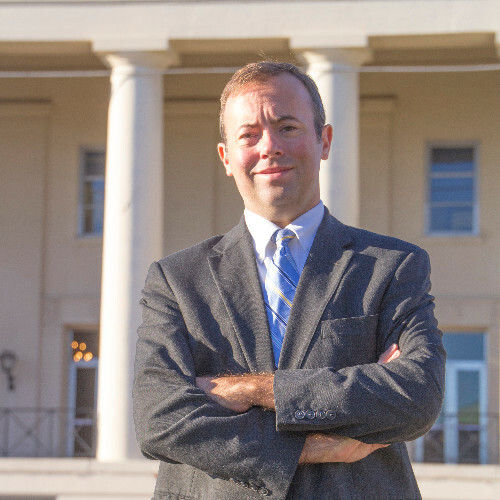 Nick Smith, City of Gaithersburg, Maryland, kicked off the column with his take. Now, Chris Floore, Assistant to the County Manager for Public Affairs, Macon-Bibb County, writes about his experience. So having a negative study and article published about PIOs is not surprising. There certainly aren’t reporters lining up to write stories on the benefits of a quality PIO. My soapbox to anyone willing to listen (and many that aren’t) is that the people we serve deserve and need to hear from their government, for a wide variety of reasons. They should see how the discussions and votes of their elected officials on issues that affect their lives. They should see those votes carried out by our departments, and the media should have good access to both the elected officials and the ones carrying out the work. And from an internal view, our employees and departments deserve to see their names and work in the paper or on television. Their family should have a chance to share that article or video on social media. People should see that their “government” isn’t some monolithic entity of automatons bent on making people angry, that it’s made up of people working hard to improve the community. There are several angles that we can approach this from. The overarching idea is we are where we are when it comes to media and communication, and it’s not entirely the fault of either side. There’s been a progression, and the decrease in one and increase in the other are linked. 2) More PIOs – Whether they think the coverage is not enough or it’s all bad, the organization will consider hiring their own storyteller. With a quality PIO, they can talk directly to people. This can be a good thing if the right person is hired under the right conditions, or it can go badly if the intentions are wrong or the wrong person is hired. 3) Hiring journalists – Newsroom layoffs (or even uncertainty of job security or low pay) and governments willing to hire at better salaries mean reporters can take their skills elsewhere. So more reporters leave the field (see #1 above) and increase the number of PIOs, making the system of communication unbalanced. 4) “Powerful” PIOs – A PIO with few reporters holding him/her accountable can more easily lock down access, which is a dangerous thing. With fewer reporters and more PIOs, there is less a chance of the public to have the government’s statements checked, verified, or discounted. This is also a bad thing. So what’s to be done? How do we get beyond this? No matter what we do, though, we have to make sure we focus on transparency and showing people what their government is doing and how it operates. With more ways for people to get information, transparency is more important than ever before. Transparency builds trust, and storytelling captures people’s attentions. Give them access to the people doing the work. Have them interview the man or woman who repairs the pothole while that person stands next to the pothole. (Nobody is going to believe me about how to fill a pothole while I’m in an office wearing a suit.) You can help that person focus their answer into a soundbite without technical jargon, but it has to be their answer. Look, there are many reasons and benefits to governments talking directly with the public, but that does not mean we should abandon traditional media relations, which the article seems to imply is happening. Your local paper, television stations, and magazines will have a larger readership or viewership, and they are years ahead of you in building up trust with the community. Their job is not to tell your story. Their job is tell people what their government is doing…so show them what is being done. So, back to the article…it, to me, is a bit slanted. It takes some federal guidelines (a book I’ve never seen as part of any training or conference in nearly 15 years of doing this) and applies them as a blanket to all PIOs. It also focuses on law enforcement, which I imagine may be a bit more strict due to the investigatory and legal nature of that work. So what’s to be done with all of this? Read the article, internalize we’re not going to make every reporter happy, and focus on communicating with the people we serve, whether that’s through the media, websites, presentations, videos, social media, and more. Because people deserve to hear from their government.